Fitting a bass into a vehicle, any vehicle, is much easier than you think. Although a bass can fit in any type of vehicle, the easiest type of car to put a bass into is a wagon (such as a Volvo or Subaru) or small SUV such as Subaru Forest. Regardless of which vehicle you use make sure that the weight of the bass is resting on the neck and nothing will hit the bridge. Vans & SUVs – I’ve found that many vans & SUVS aren’t as convenient as one would think. In some models the seats don’t fold down flush with the floor and it can be problematic balancing the bass. Hatchbacks – These work well despite their small size. Fold the rear seat down. Open the hatch and put the bass in scroll first so it ends up between the front seats. Sedans – Most people think these won’t work, but they do! Fold the front passenger seat back as far as it will go. Put the bass in scroll first into the driver seat area and bring the scroll over the driver seat so the entire bass comes to rest on the passenger seat. The endpin will be near the bottom of the dashboard and the bass will use the space of the front and rear passenger area. Wagons – These are very convenient – especially if the rear seat fold down flush the back compartment (as most do). Then just put the bass in scroll first so it rests on its back. 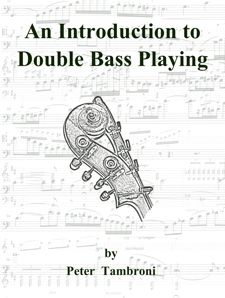 Multiple basses can fit if placed on their side. Again, just be careful not to rest any weight on the neck and that the bridge will not get bumped by anything. And guess what else works? The Volkswagen New Beetle!